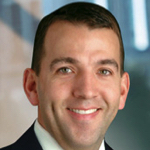 David C. Lashway leads Baker McKenzie’s global cybersecurity practice and is a partner in Washington, DC. His practice involves advising clients on complex internal investigations, as well as administrative, civil and criminal litigation matters. Mr. Lashway focuses his practice on the areas of crisis management, internal investigations, and complex criminal, civil and administrative litigation. He also has significant experience advising clients with large public-private transactions involving the US Department of Defense and other US agencies. His clients include investment banks, publicly traded and private companies, trade associations and individual managers. Advising a major US energy infrastructure company with respect to the legal response to notice by FBI and DHS of a cyber-campaign allegedly targeting the company. Conducting an internal investigation for a Fortune 10 Company into the involvement of employees in alleged intellectual property theft by an engineering firm based in the People’s Republic of China. Also currently advising on associated federal grand jury proceedings investigating PRC engineering firm and ongoing litigation. Advising a global investment bank on the development of a new financing vehicle to fund certain infrastructure associated with a new military installation in the Republic of Korea. Advising a major telecommunications provider with respect to an ongoing investigation by the US Department of Justice and the Office of the Inspector General of the GSA in a multi-billion dollar contract. Counseled the world’s largest natural gas company in its response to the Congressional investigation into hydraulic fracturing and in response to the US EPA’s ongoing inquiries and studies. Served as lead pro bono counsel to the family of an American reporter detained in Libya. Worked with a number of governments and non-profit groups to successfully facilitate the release of the reporter and several other detained individuals.